Online videos can be quite useful for reiterating a lesson to your students, for inspiring thought and conversation, and for introducing a new concept to your students. The struggle we have sometimes is finding a video that gets to the point quickly. And sometimes we don't need students to watch all of a TED Talk or other lecture in order to get them thinking about a concept. That's where tools for sharing portions of videos are useful. In YouTube there is an option to start a video at a specific point. Under the sharing options on a YouTube video there is an option to select a start time for the video. Unfortunately, there is not an option to select an end time. See the image below for a look at the time-stamped sharing option in YouTube. Vibby is a service for breaking YouTube videos into segments and inserting comments into those segments. 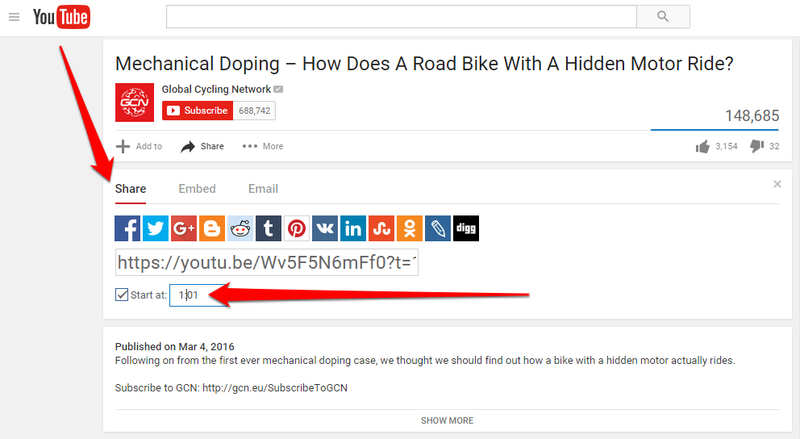 To segment a YouTube video on Vibby simply grab the URL for the video and paste into the Vibby editor. Once inserted into Vibby you can highlight a segment on the video timeline. Vibby then play only the sections you've highlighted. Click on a highlighted section to add a comment to it. Videos edited through Vibby can be shared via email, social media, or embedded into a blog or website. Click here for a Vibby tutorial. Vialogues is a free service that allows you to build online discussions around videos hosted online and videos that you have saved on your computer. You can choose to use all of a video or portions of a video. Registered users can upload videos to Vialogues or use YouTube videos as the centerpieces of their conversations. After you have selected a video from YouTube or uploaded a video of your own, you can post poll questions and add comments that are tied to points in the video. Your Vialogue can be made public or private. Public Vialogue's can be embedded into your blog or website.